I could have sworn spring was coming, but then I wake up to this. What in the world? Wasn’t one March snow enough? Now we have two. I’m ready for warm weather. No more snow please, especially since I’m a dingdong who cleans off the windshield and windows, but never the top of the car. Lesson learned today. I was at a light when I noticed snow creeping down the windshield. No problem. I just used the wipers to break it up and get rid of it. Then, once I make the turn snow slides down and blocks my entire windshield! Because it was so heavy, the wipers wouldn’t move. I had to try to pull to the side of the road blind and clear it off enough to drive to a side road where I could pull in and clear it all off. That could have been a real disaster since it happened on a fairly busy road. Luckily, someone was looking out for me and I only got cussed by a Swanson man behind me. Lesson learned. 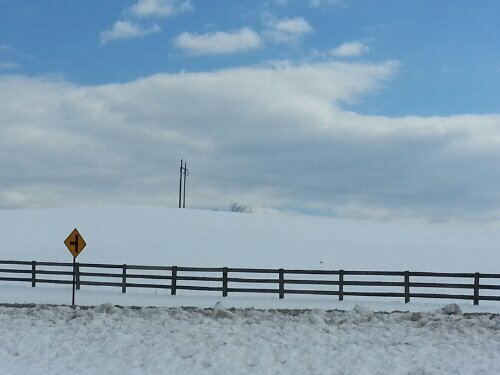 Even though I was able to get out today there was still a ton of snow everywhere. This was on the way to work, where it seemed like they got more snow than I did at home. It made for a pretty scene though. Okay so this is a day late due to yesterday’s snowstorm which knocked the power out for a few hours and then knocked the cable (and internet) out for about 24 hours. 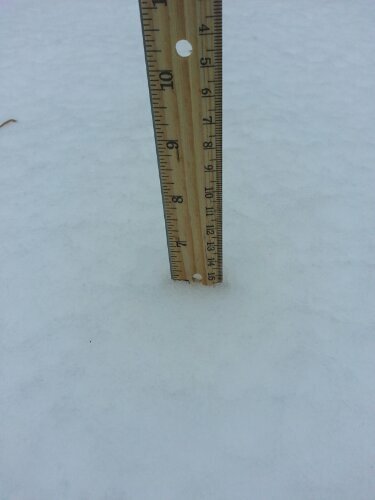 We ended up getting around 6 inches of snow, maybe a little more since I measured it for the last time in the afternoon and it snowed a little bit after that. So yesterday was a snow day, but we were able to get out today. That’s my kind of snowstorm. 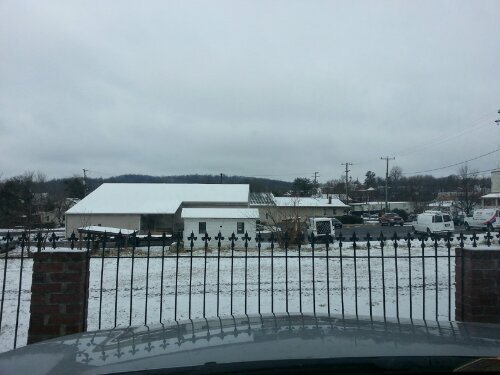 It snowed last night at work, which was kind of random because it wasn’t really forecasted. 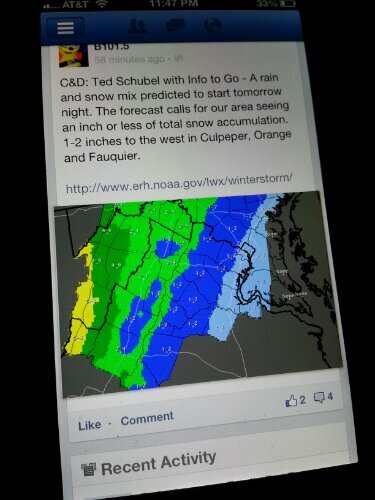 Also, I live in a neighboring county and there was absolutely nothing at home, not even ice. Crazy. Snow! Well, sort of. 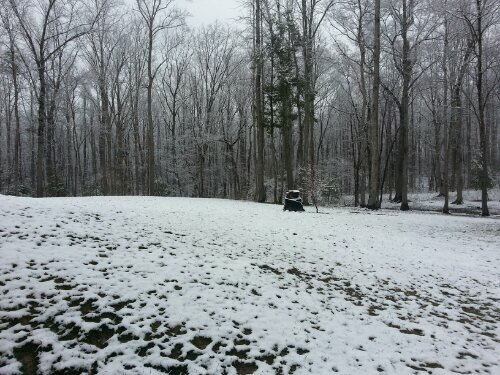 Once again we were supposed to get way more, but we really only got a dusting. We actually had more snow earlier this week when they weren’t really calling for anything. Go figure. For about an hour or two this morning there was a white Christmas. I was at work and the snow was coming down, the first of the season. It was my kind of snow too. It looked pretty, but it didn’t stick and cause any problems. 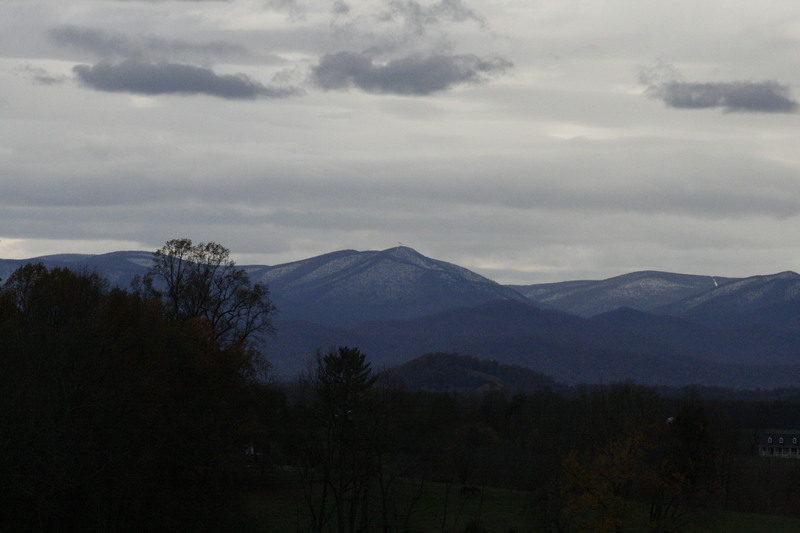 Hurricane Sandy left behind snow on the mountains, which can be seen from down below in the valley. It’s actually a pretty awesome sight and one that is in no way well represented by this photo. It was gloomy this afternoon when I took this, and I think it would have been better had it been bright and sunny. It’s really one of those things everyone needs to see for themselves. In a word, it’s majestic. If you can, take the chance to see something similar in person. You won’t regret it. 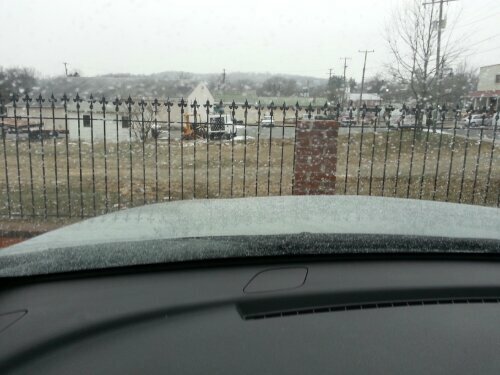 The forecast called for flurries this morning, switching over to rain with no accumulation. 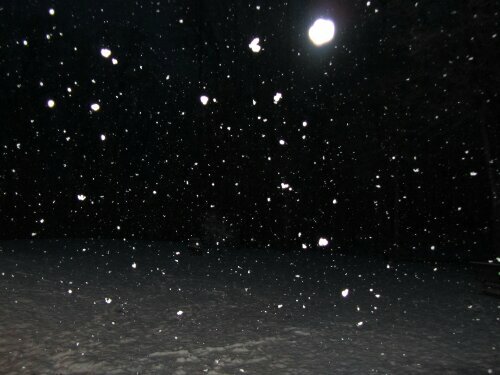 Does this look like flurries? After at least five inches, it kept snowing until early afternoon. It eventually warmed up and the snow starting melting, but it never rained. I think someone got their forecast a little mixed up. And in true crazy weather fashion its supposed to be 70 degrees later this week. It’s okay though because I had a nice snow day. I worked from home after attempting to go to work and turning around because the roads were terrible this morning. I actually still got alot done, plus I cleaned the house and spent time with Buddy.